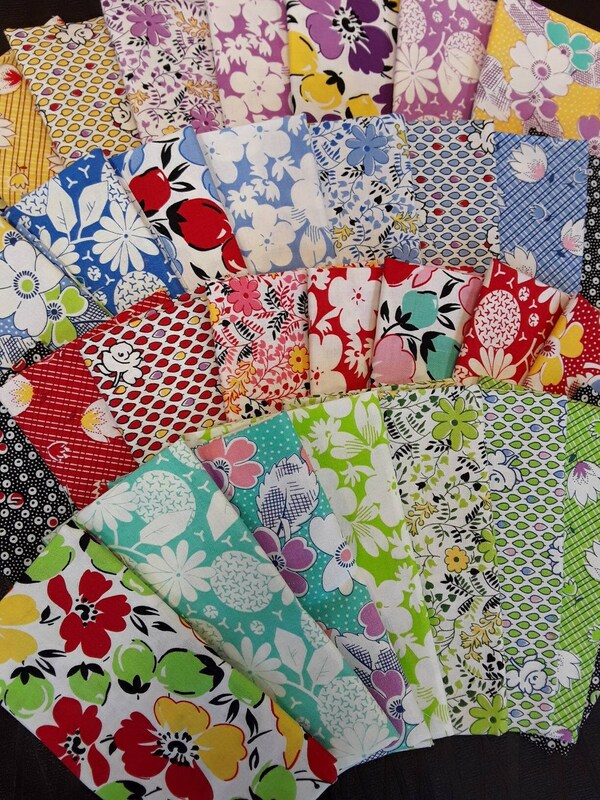 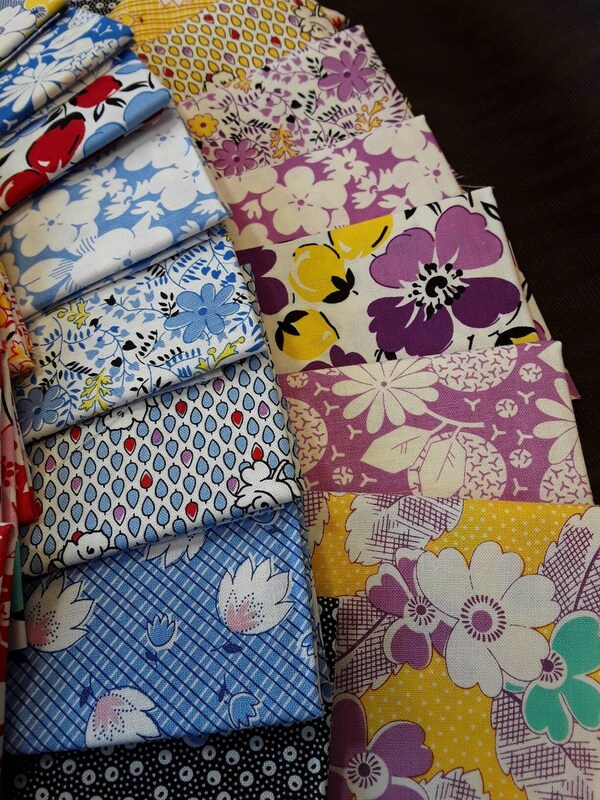 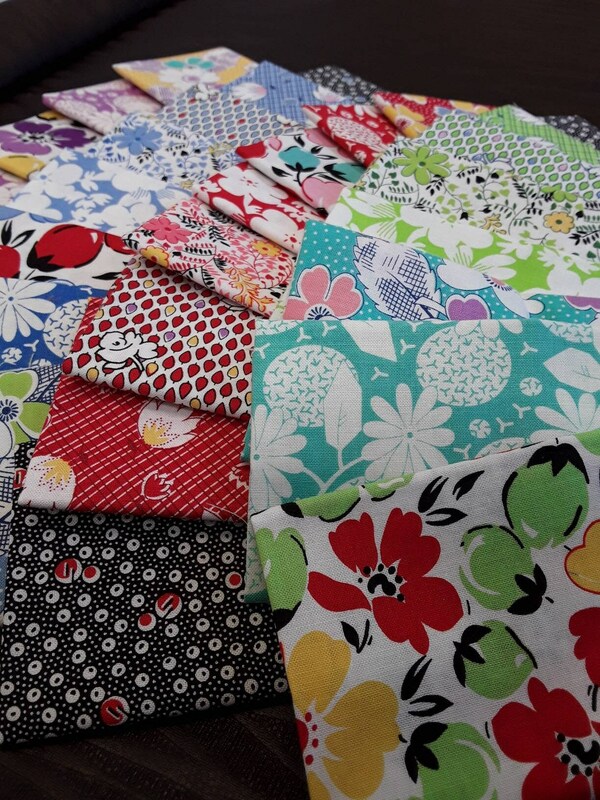 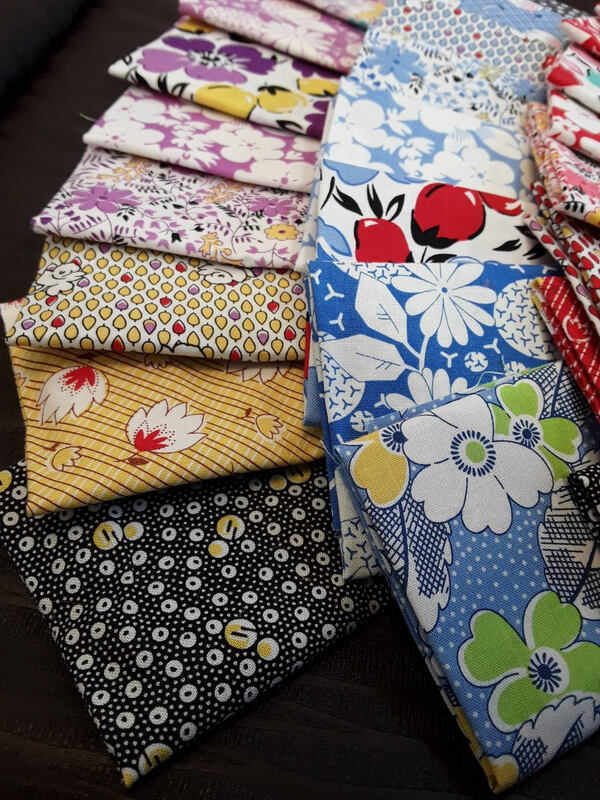 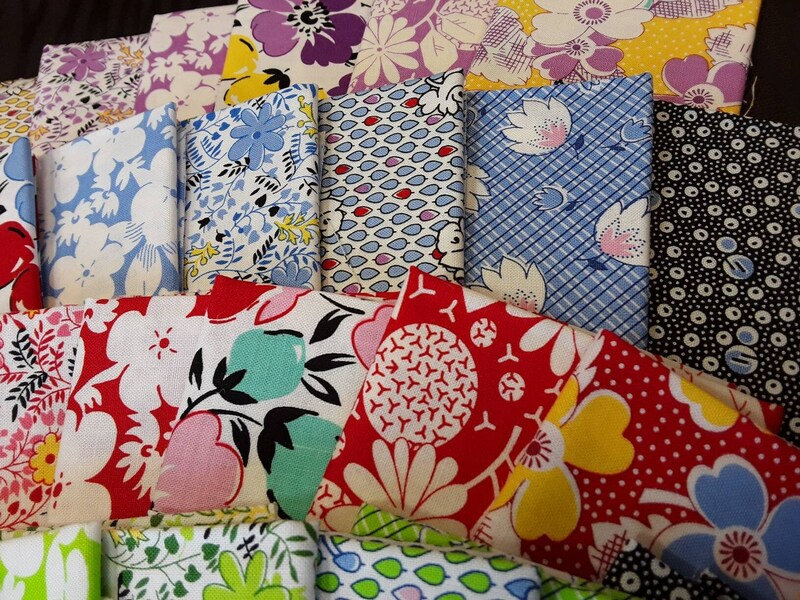 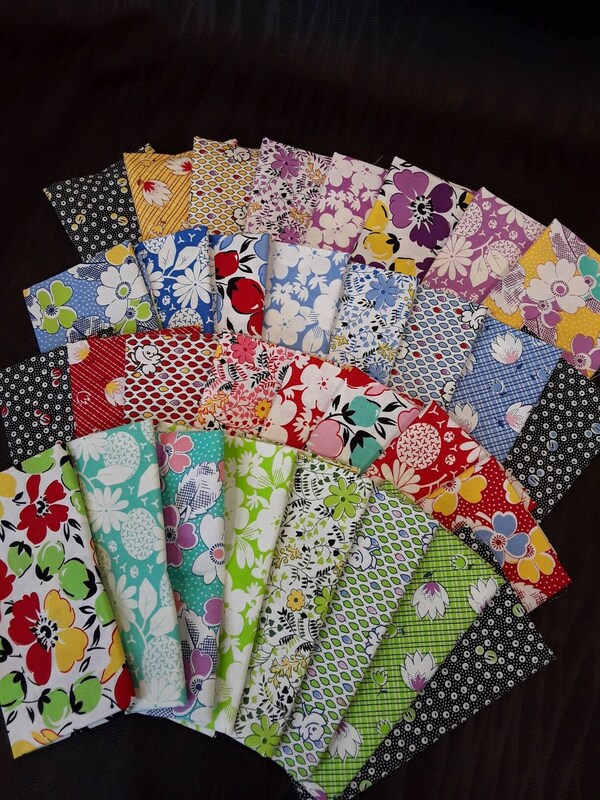 Hand cut quilting fabric from P & B Textiles in traditional floral patterns, redesigned to reflect nicely on the popular feed-sack theme. 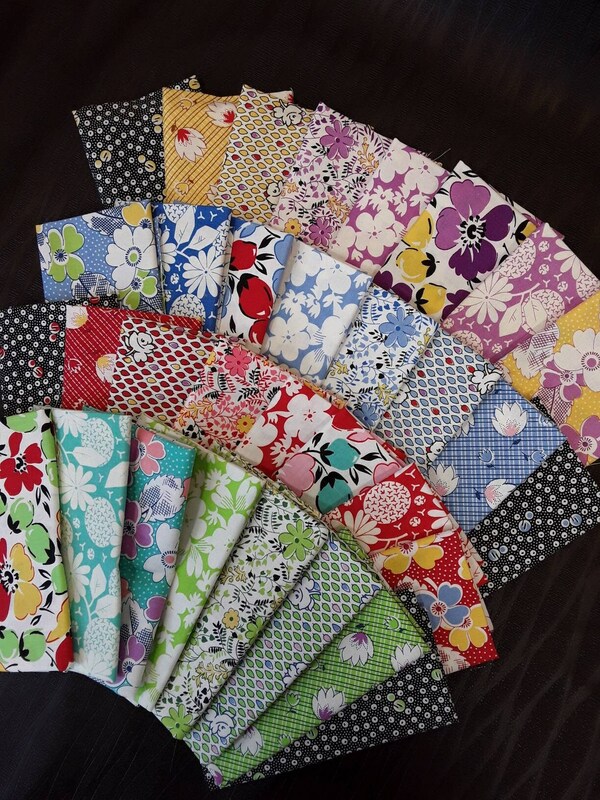 One of my favorite quilt designers recommends using fabrics with lots of different print scales. 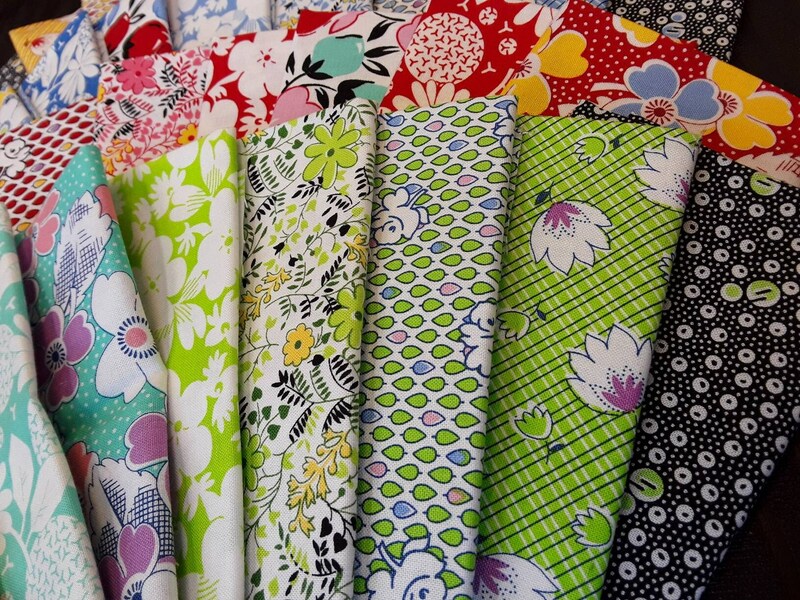 These quilt fabrics fit that helpful tip in size and variety. 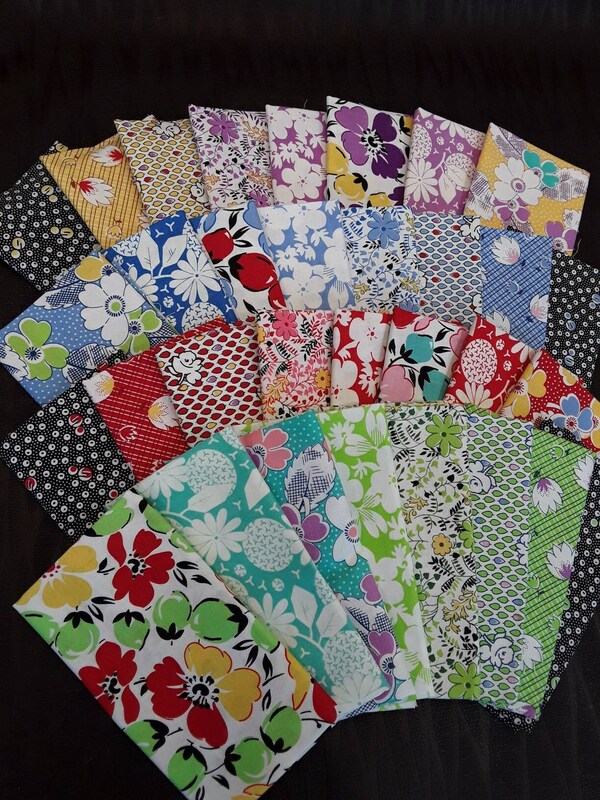 Each fat eighth measures approximately 9" x 21"